I argue in this posting that rather than accept the Auckland Plan's growth assumptions as the basis and rationale for what Auckland Council does this term - these need to be challenged now. The Mayor's direction setting paper for Auckland Council's review of its Long Term Plan was considered by Council's Budget Committee in March this year. The Mayor's paper calls for a major review of council activities, and that papers prepared in that major review are to be considered by Councillors in the build up to the draft long term plan. The mayor has indicated that he will consider officer reports that respond to his direction, and prepare from them his Long Term Plan Proposal in August this year, which it is planned Councillors will consider and adopt - as the Draft Long Term Plan - in December 2014. That would then go out for public consultation. The mayor also asks for some work on PPPs. I will leave any critique of PPPs for another time. When will councillors understand the message that PPPs are just another "something for nothing" magic wand that is very high risk? Look no further than the Kaipara District Council and EcoCare. I want to concentrate here on what the Auckland Plan means or requires, as it stands, as a "starting point" for the Council's Long Term Plan. lives in an unmanaged way. 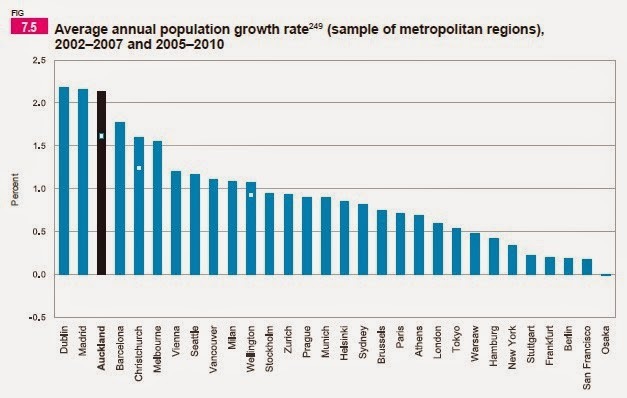 of Auckland’s population – high, medium and low growth. stated, this model is used throughout the Auckland Plan. A-1, 108: Aucklanders have said they want Auckland to build on its strengths and ensure growth and change is well planned and of a high quality*. They seek a quality compact model of growth that prevents excessive expansion into our rural hinterland. may be refined following more detailed implementation planning. They only apply to ‘urban dwellings’ (i.e. dwellings in rural villages, country living, and other rural areas are not included). 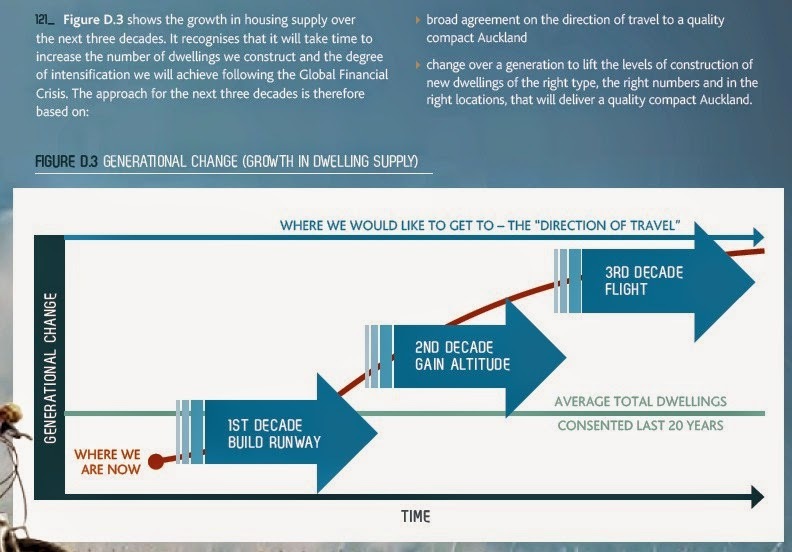 The figures show the intention for 70% of growth to occur within the baseline 2010 MUL, and the possibility of needing 40% of new dwellings outside the baseline 2010 MUL. stabilised at around 80% of the OECD median. 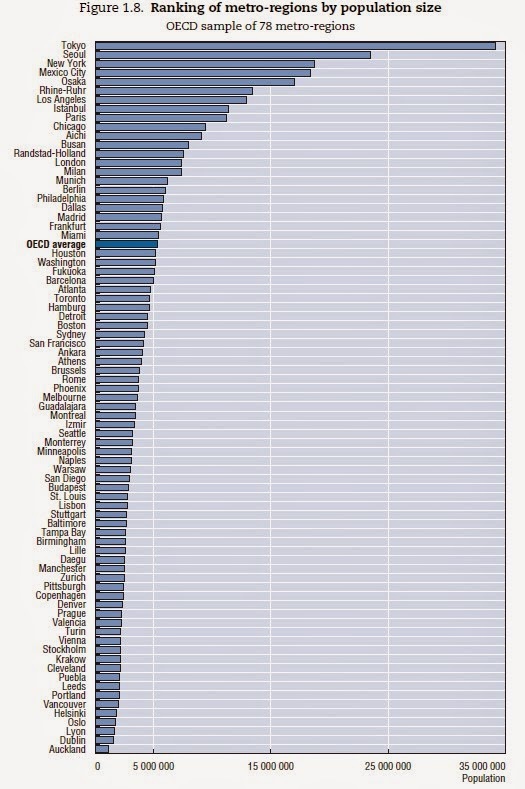 The graphic to the left is from the OECD's report which compares 78 metro regions. It is a slightly earlier version than used in the Auckland Plan - but that has little effect on what I write here.... take a look at the graphic.... look for Auckland.... you will find it right at the bottom. It is the smallest city region in the sample. The point being made in the OECD report about competitiveness of city regions is that it is NOT necessarily the case that bigger means more GDP/capita. The selective use of the OECD data in the Auckland Plan is all part of an unquestioning push for growth at all costs - especially if many of the costs (eg growth related infrastructure) can be born by Auckland Council and the ratepayer. Another player in this discussion is Central Government. It is looking closely at how Auckland can become part of New Zealand's economic "growth engine" (alongside the dairy industry and the earthquake recovery industry). Ministry of Economic Development has produced a report exploring Auckland and which investigates a number of economic development indicators. It takes OECD data and applies its own local knowledge. This graph for example: "Auckland had a relatively high average annual population growth rate between 2005 and 2010, at 1.6 percent. Between 2002 and 2007, Auckland had the third highest average annual population growth rate of the sample of 78 OECD metropolitan regions." 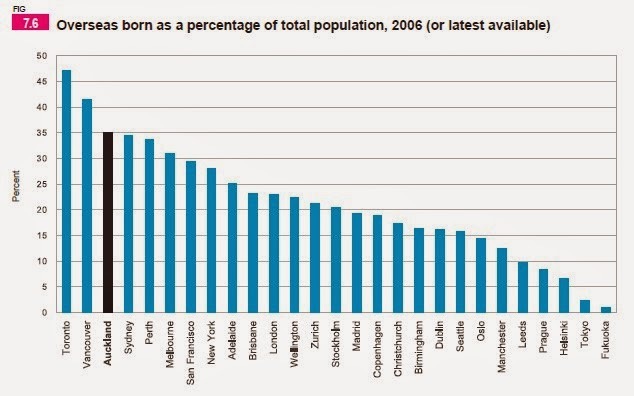 And in relation to this graphic: "Auckland has one of the highest proportions of its population comprised of overseas-born residents, just behind Toronto and Vancouver." The seeds of the Auckland Plan are beginning to take root in the Long Term Plan. This is a problem because the Auckland Plan assumes and presumes that all growth in Auckland is good growth, and that it is going to be good for us all. But is it? Is bigger necessarily better? (The OECD analysis raises important questions about this - notably for Auckland with its peculiar congestion problems stemming from unusual geography). And even if it is, what is the justification for Auckland Council budgeting and raising rates to build the infrastructure apparently needed for all the new houses, and in effect subsidising growth. The Auckland Plan growth assumptions: high population growth scenario and 5% compound GDP growth are driving Council policies and budgets that will be ruinous. A few weeks ago I blogged with a worry about Wynyard Quarter losing its gritty reality. Losing the reality of the fishing fleet tying up at North Wharf. Losing the sight of fish being unloaded. Stuff like that. Why this matters - if it's true - is because a lot was made of this in public consultations, and also with shareholders. Back in the days of the ARC (Auckland Regional Council) we were briefed by Sea + City (precursor to Waterfront Development Agency). On the 11th of May 2009 we (Councillors) received a briefing from Sea + City's CEO about Wynyard Quarter redevelopment. These slides are from that presentation. 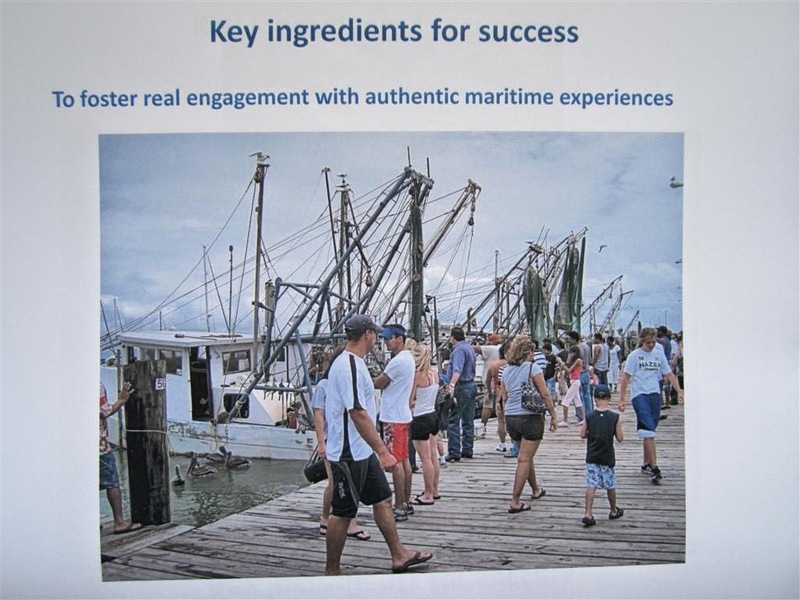 And this diagram emphasised that these would be Real Fishing Boats. (ie not cardboard cut-outs or some other plastic imitation.) We're talking real. 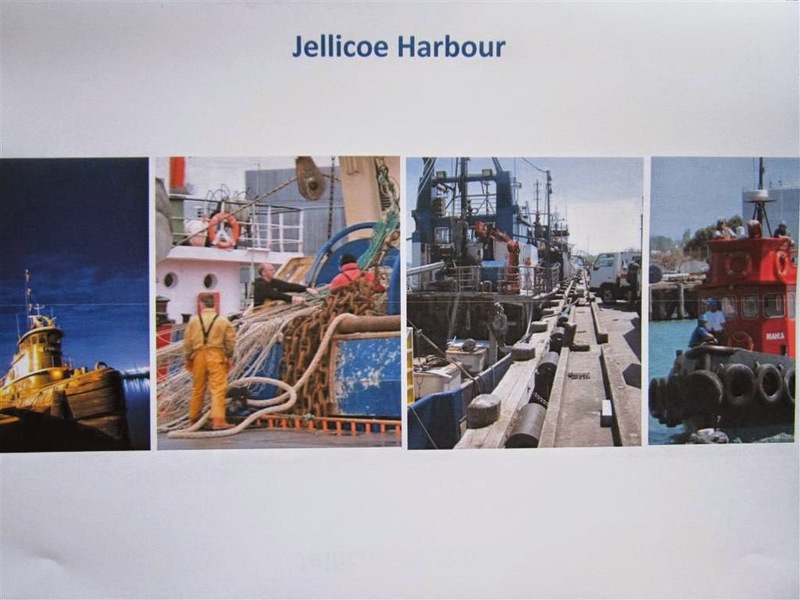 The vision for Jellicoe Harbour was spelled out in this picture: no mucking about. No if's, but's or maybe's. PUBLIC FISH SALES. Maybe I'm too literal. But I think this image, and the words and slides before it, tell a very strong story, which we all bought into. Authenticity. We supported it. ARC supported it. This slide adds more colour. And this one does a good job of explaining how the different uses and activities would co-exist. 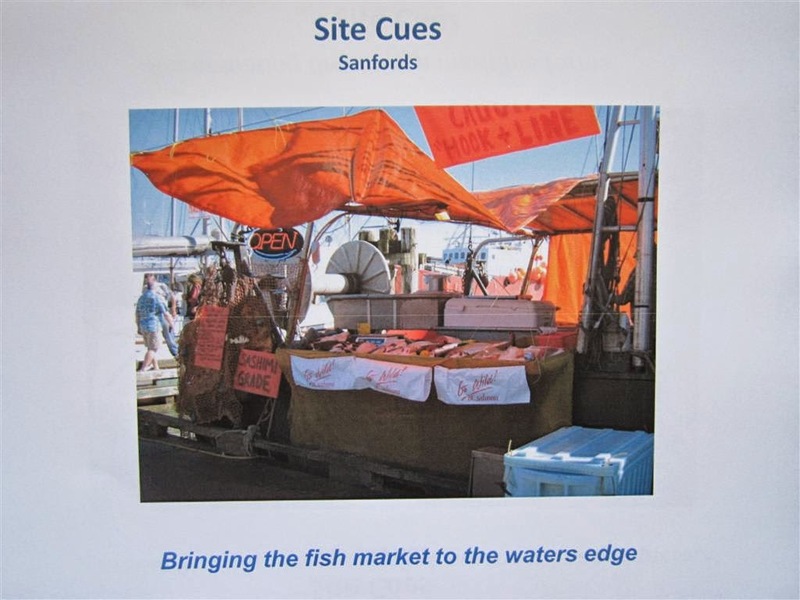 How the reality of the transport needs of fishing boats loading and unloading on North Wharf would be provided for. So that's what we want to see down there. It's what we voted. It's also what the public said they wanted when we consulted them.
" ....The thinking is for the single-storey Shed 11 to be reinstated south of Shed 10 for a market and other public uses. 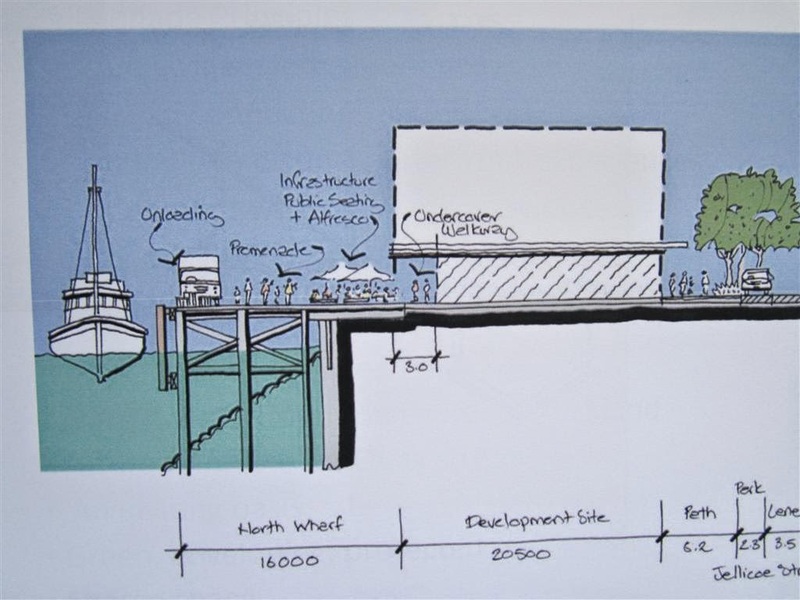 The waterfront agency is also proposing to build a new shed, respecting the traditional shed form, for the servicing components of the cruise ship terminal at Shed 10. 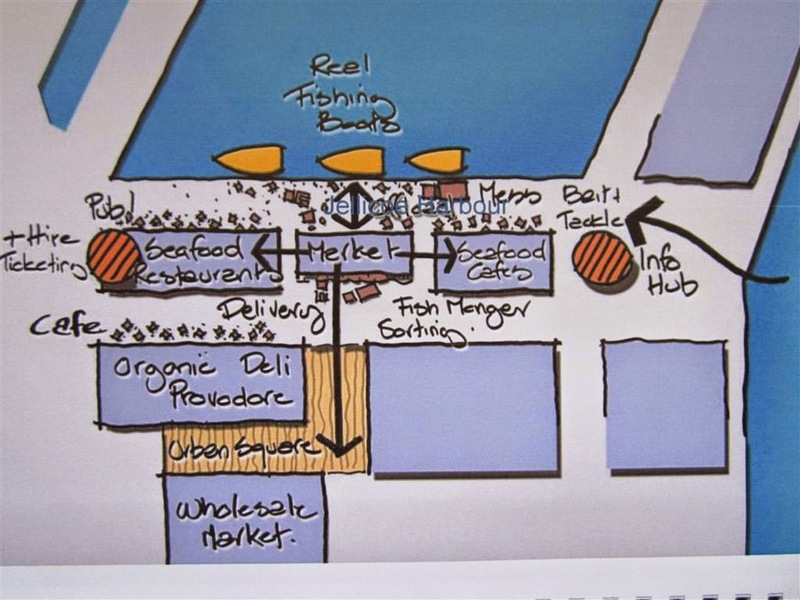 It would be located north of Shed 10 at the end of Queens Wharf and include a mezzanine level for functions, along the lines of the mezzanine floor at the end of the Cloud. The draft masterplan will envisage removing the Cloud at some stage to free up the western side of the wharf for public space. ....said the Cloud could remain for five to 10 years...."
This story provoked a critical editorial response from NZ Herald, which received a few comments. Many of these supported the Herald's line: ".... just because a building is old does not mean it has aesthetic appeal. The sheds are simply ugly embarrassments undeserving of any historic status....". I thought this was an irresponsible comment for our country's leading newspaper - making no mention of the work of the Historic Places Trust. It is simply one person's opinion. That's OK for a letter to the editor, but I think an editorial needs to more broadly reflect the public interest in the shape and history of its urban form. But thankfully some comments spoke in support of adaptive re-use. 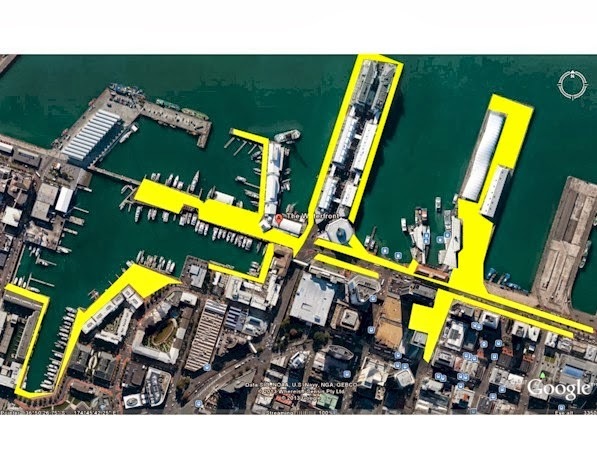 It's good that Waterfront Auckland's plan is described as "draft masterplan" and it is "due out for public consultation in the next few weeks..."
The public spaces on Princes Wharf were all after-thoughts, and are miserable failures as a consequence. We can, and must do much better with Queens Wharf. 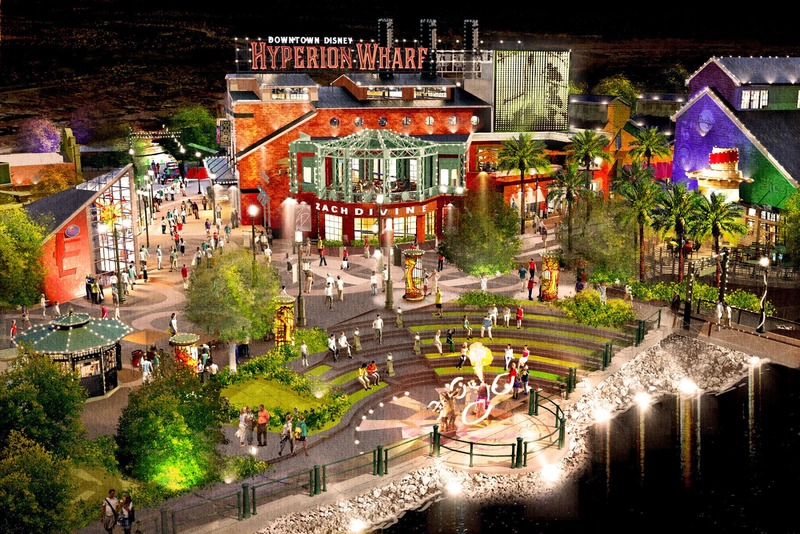 This is what Disney has done at the Hyperion Wharf. Activated (but not dominated by places to spend money), multi-level, shade from the sun, shelter from winds, access to the water, places to sit. 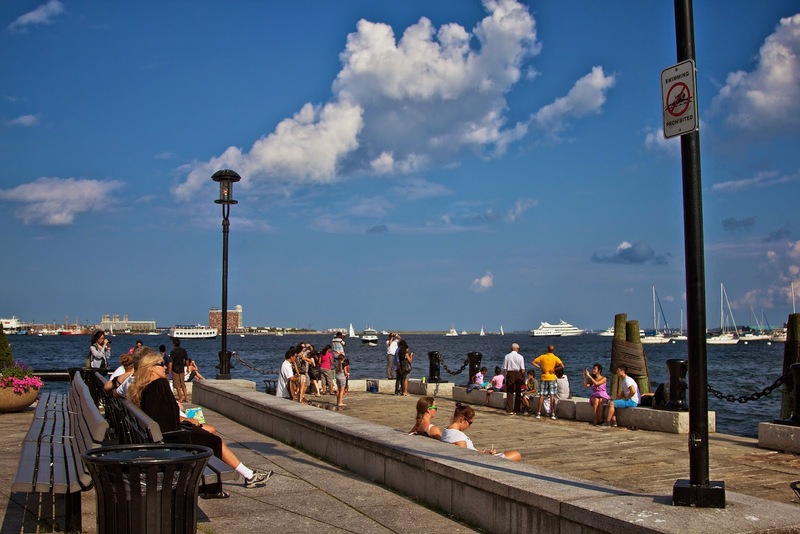 These three pictures are of Boston's Long Wharf. This one is at the end - reminiscent of the end of our Queens Wharf. Note the absence of permanent fences - one of the least attractive aspects of our Queens Wharf at present. There are grassed areas as well - closer to the landward end of the wharf. 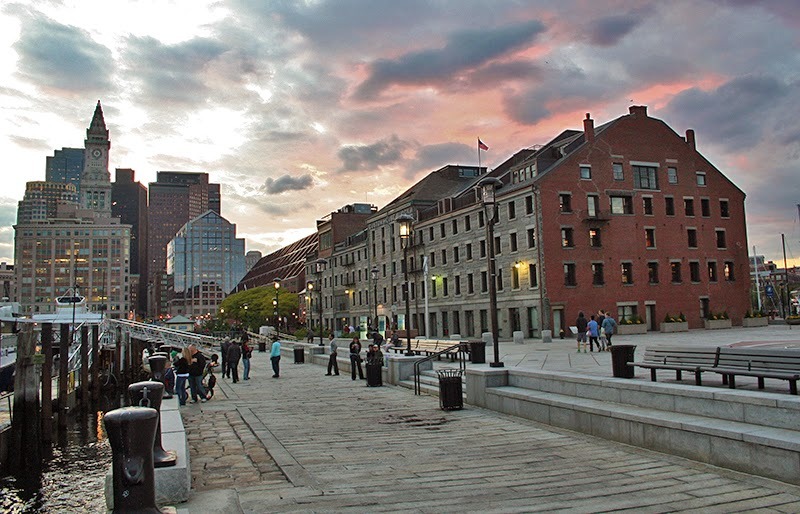 This view is looking back landward from the end of Long Wharf. While the building shown is brick - it has a similar form to Shed 10. This view is impossible on our Queens Wharf, because the bloody security fence, which is always up, prevents access. We can do this stuff well in Auckland. When we get some good planning in place that is. 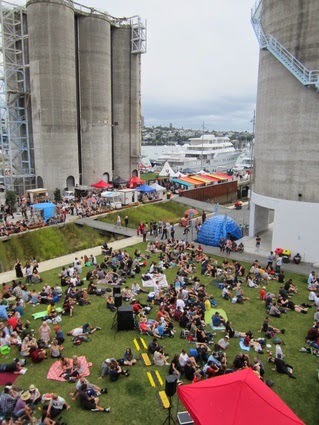 This is Silo Park in the Wynyard Quarter. It's reclaimed land. But the grass looks and works well. Surrounded by interesting structures from the industrial background of the place.Successful. Internationally recognised. And just a reminder of Wellington. This map gives an indication of the amount of waterfront public space that was planned, and is provided, for Wellington citizens (and it is not dominated by cruise ship parking - by the way). Here's another map showing the amount of open space - without buildings - on Wellington's waterfront. I prepared this rough equivalent for Auckland. And it's a generous interpretation. It does show the space that is without buildings, but it is important to note that much of the space on Queens Wharf, and on Te Whero is taken up with car and vehicle parking, and by traffic. This next two pics are about a part of Washington DC. Planners' images for the use of part of the waterfront (bottom), and of a narrow wharf (left). 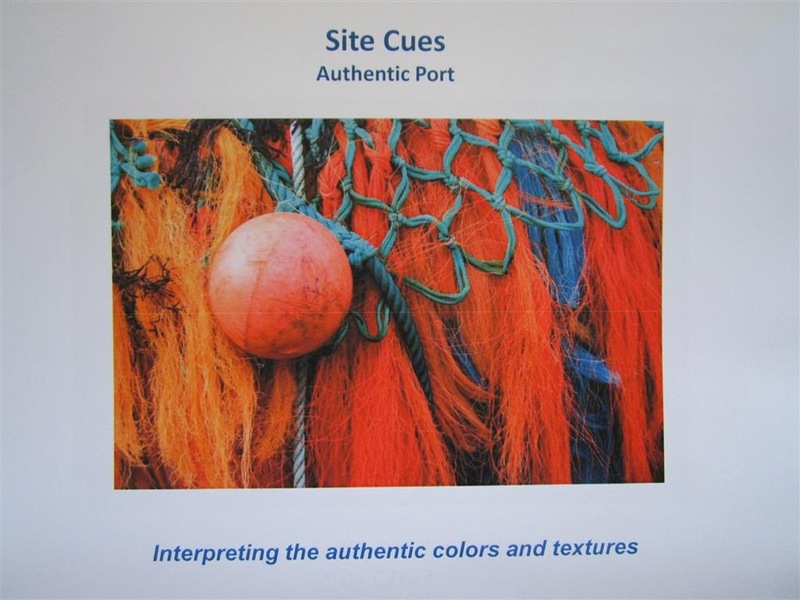 I do have some experience of how artistic impressions can be used to lull the public into a state of calm, and allow developments to occur that drive the public away, rather than the whole being genuinely designed and planned, as a priority, for public. The two pieces of waterfront development at Auckland that have generally been successful are the Viaduct and Wynyard Quarter (I appreciate it's early days for Wynyard, but it has started reasonably well). The two pieces of waterfront development at Auckland that have not been successful are Princes Wharf and Queens Wharf (so far). What the two successes share in common is that in each case the land was subject to a Plan Change under the RMA. This allowed a major public consultation process to play out and unfold. Sadly, that has not happened with either Princes Wharf or Queens Wharf. You can read here my recent detailed research about the sorry planning history of Princes Wharf. Queens Wharf has fared little better so far. That history is next on my list of research projects, but it includes the Rugby World Cup Empowering Act, and the Hon Murray McCully and the might of the Auckland Regional Council, with a heap of opinions and personal visions, and no proper planning. Which is why it is the way it is today. The planning rules for Queens Wharf, in the Unitary Plan, as far as I can make out, are: "The activities in the General Coastal Marine zone apply to the CMA in the Central Wharves Precinct unless otherwise specified in the activity table below....." and the activity table says that "public amenities" are permitted, and that "Minor cosmetic alterations and repairs to a building that does not changes its external design and appearance" are permitted, and that: "New buildings, and alterations and additions to buildings not otherwise provided for" are restricted discretionary. The words "public amenities" are rather vague, and the assessment criteria for any new building don't appear to be onerous. My assessment of the planning controls is that the owner has a great deal of flexibility, about what can happen on Queens Wharf - you can drive a coach and horses through those sorts of rules. And that the public has no real certainty about what might happen there. Certainly there is no stated commitment to public space. Just flexibility. And the unitary plan does not mention the deal that was done with Ports of Auckland Ltd, and about which I don't recall the details now, but which relates to a strip around Queens Wharf (not the end) where POAL has mooring rights and rights to collect mooring fees. From cruise ships. Ports and Cruise Ship planning are the elephants in the room of Queens Wharf. Auckland needs a staged waterspace and wharfspace allocation plan, for the next 10 years or so, which allows more certainty in the planning of public space and public park spaces on its waterfront. The future of cruise ship parking - whether it's on Princes, Bledisloe, Captain Cook with a dolphin, Wynyard Wharf, or with much less impact on Queens Wharf and shared across these other options - needs decisions. Queens Wharf deserves better than it's had so far - in planning terms - and in terms of public involvement. It’s surprising what you find when you get the inclination to dig into Auckland archives. Like investigating how we ended up with a Hilton Hotel and hundreds of private apartments on Auckland’s publicly owned Princes Wharf and little else for locals. This is my story of discovery. I show and tell from my recent journey into the bowels of Auckland planning archives. It is a story that needs to be told so we can learn, reflect and – hopefully – avoid repetition. Please be patient with my story-telling. I didn’t know what I didn’t know when I started. One set of archives led to another. One step forward two steps backward. Then onward again, but better informed. This story begins in 2004 when I was elected onto the Auckland Regional Council (ARC) alongside Mike Lee and Sandra Coney. 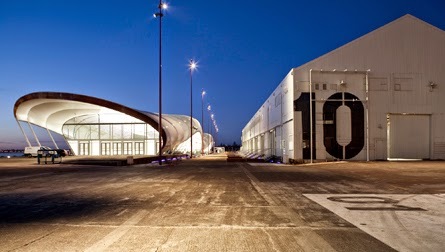 Mainly responsible for public transport funding and environmental protection, the ARC had just been handed control of the Ports of Auckland company and its waterfront land assets, some of which were surplus to Port’s requirements. 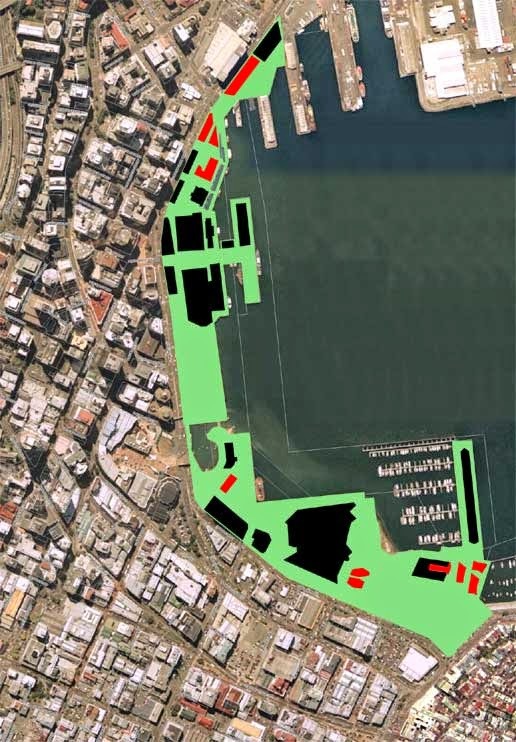 The ARC’s thirteen councillors found themselves in the hot seat responsible for the development planning of what was then known as the Western Reclamation, today as Wynyard Quarter, including about 18 hectares of prime waterfront real estate held in public ownership. Councillors were taken on tiki tours around the Viaduct Basin and out to the end of Princes Wharf where we were shown the meagre provision there for public viewing. Standing outside I felt as if I was intruding on the holidays of the rich and famous sitting comfortably behind plate glass in Hilton’s lap of luxury. The months flew by as ARC Councillors considered urban designs and land use proposals for Wynyard Quarter, put them out for public consultation, collected feedback, held stakeholder fora, and came under the media spotlight. The demand for public space, things to do, visitor destinations, character buildings to protect, places to see, marine industry development was huge. Eventually the ARC and Auckland City Council prepared changes to land use planning documents – how high buildings could be, what was public, what was commercial, what was marine, streetscapes, heritage buildings, transport, what could be moored and where – anything and everything – and these were put out for submissions. In Resource Management Act lingo – the plans were publicly notified. While all this was happening in 2007 I asked myself this question: if we have to go through all this palaver, jump through so many RMA hoops for the Wynyard Quarter, how come Princes Wharf got developed without so much as a dicky-bird chirping? Construction had started at the end of 1998, well after the RMA was law. So how did the Princes Wharf development get under the radar? I asked long serving ARC Councillors, and senior staff. But nobody told me. Looking back now I wonder how many could have told me. Perhaps I asked the wrong questions. But I had little time to fret because suddenly Rugby World Cup fever descended on Auckland and Queens Wharf jumped to the top of the ARC’s list of things to worry about. Helter Skelter. Toward the end of my time on the ARC in 2010 I went into bat with Sandra Coney to protect Queens Wharf’s Shed 10 from demolition. So did Heart of the City and Mayor John Banks to their credit. Pressure for another big cruise ship terminal on Queens Wharf and the for demolition of heritage buildings had been huge. My fear was that Auckland would get another Princes Wharf type development. Since then I've had some time to reflect. About Auckland planning. Time to think about that question again: How did the Princes Wharf development happen? For a few months in 2013, with twelve years of local government experience and a planning degree behind me, I have been on a mission. To kick off my investigation I started with the New Zealand Herald archives which anyone can access over the internet. Keyword: “Princes Wharf”. Hundreds of entries: creating a thriving new heart for the city; café set worrying mariners; city wharf vital to trade; bars hinder sightseers. Stuff like that. But the digital archiving that I could access started in 1999. I needed to go back before that. Someone suggested I check Auckland Library archives. I’d used my daughter’s library card in the past to get books from Devonport library, but it had lapsed. She’d long left home. So I joined and a strange (for me) new world opened up. The Auckland library has a heap of digital archives available – to card-carrying-members – over the internet. The New Zealand Card Index is one of these. It began in the 1950’s as a manual card system, closed in 1996, and has since been digitised. It focuses on people, places and organisations, and selectively indexes the NZ Herald and Auckland Star newspapers and something called the Auckland Scrapbook (ASB for short) which was started in 1921. · ASB Nov 1987, Page 224: Auckland Waterfront. 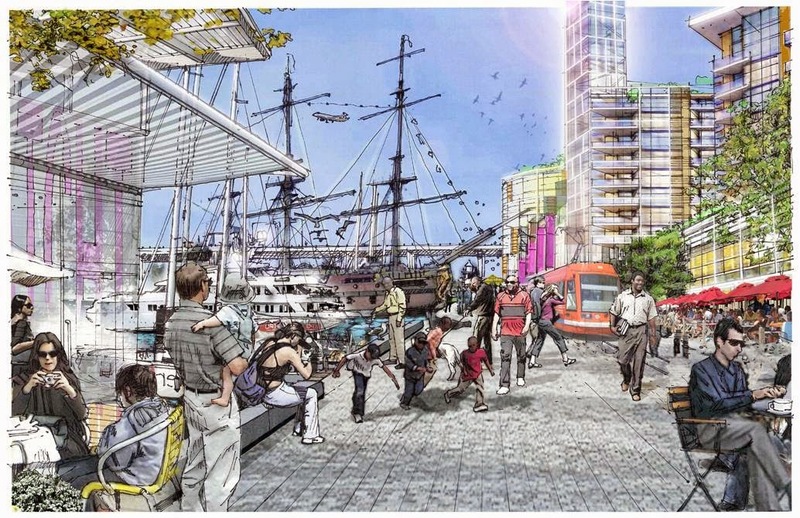 3-way race for the proposed redevelopment of Princes Wharf was won yesterday by the Mace Development Corporation. · Star, 9 Oct 1987, Front page: Auckland Harbour Board has chosen a $190 million design by Mace Development Corporation incorporating hotel, markets, entertainment centre and a museum for the 63 year-old Princes Wharf site. But how to see the actual newspaper articles? Over the phone the receptionist at Auckland Library Archives explained I needed to go into the Auckland Library – the archives floor – with my card index references – and they’d show me. She said I should set aside a few hours. Next day I visited the Central Auckland Research Centre. Level two of the Lorne Street Auckland Library building. Acres of carpet and silence. Kilometres of old volumes and filing cabinets. She asked if I knew about microfilm. No. I was shown where the rolls of film were stored and how to work an old microfilm reader. Talk about exciting. So what happened? Where’s the waterfront grandstand? What about the cultural centre? And the quayside marketplace, art gallery and cinema. 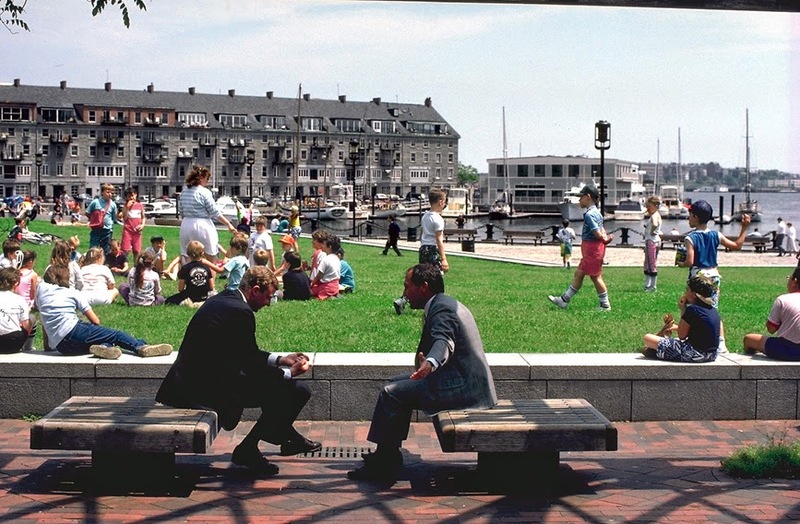 What happened to the Harbour Board’s promise of Princes Wharf being transformed into a ‘people place’? · ASB, Feb 1980, Page 79: The Auckland Harbour Board has revealed its design for a $7.7 million quayside office building. · NZ Herald, 13 Oct 1982, Page 4: Travelodge NZ Ltd and AMP Society's appeal against Planning Tribunal decision that Auckland Harbour Board's proposed new headquarters on Princes Wharf can go ahead being heard in High Court. · ASB, July 1985, Page 29: Auckland Harbour Board building wins one of the NZ Institute of Architects awards. So what happened to those plans? Maybe it was just a public con job. So. AHB got their HQ. Cost them around $14 million. Money they didn’t have, so they needed a bank loan. But their really big plan was to develop Princes Wharf real estate. Make serious money. But it took some detective work to piece this together. I knew I’d have to get immersed in Auckland City Council archives at some point. There’s a sort of meta-data system anyone can access over the net. I tried words like “Wharf” and “Princes” and found a whole lot of references to “Scheme Change 4” of the “Waitemata Harbour Maritime Plan”. By “references” I mean record numbers, dates, file numbers. Stuff like that. No actual documents though. So I sent an email to the queries address. By return I was advised I needed to show up at the Auckland Council Archives offices. Two stories underground by the Academy Theatre – also in Lorne Street interestingly. Pressed the buzzer. Was let in and told, “this is a pencil and paper only area. Put your things in that locker.” Heavy. Did as I was told, and was presented with a pile of old manilla folders dated between 1986 and 1989 stuffed with papers about a change of planning controls for Princes Wharf. Auckland City Council opposed the application. I suggest you re-read that last quote – especially the last part of it. Other documents in the folders show that changes were made to the application, and that AHB’s modified application was granted. Man oh man. Given the strength of those objections from a council planner – what the hell happened? No detail. Frustrating. I had been given Auckland City Council archives - but only files that were “unrestricted”. I was told that to see “restricted” files I would have to apply to Auckland Council under the Local Government Official Information Act. That might be a mission. But staff at Auckland Council Archives had a suggestion. 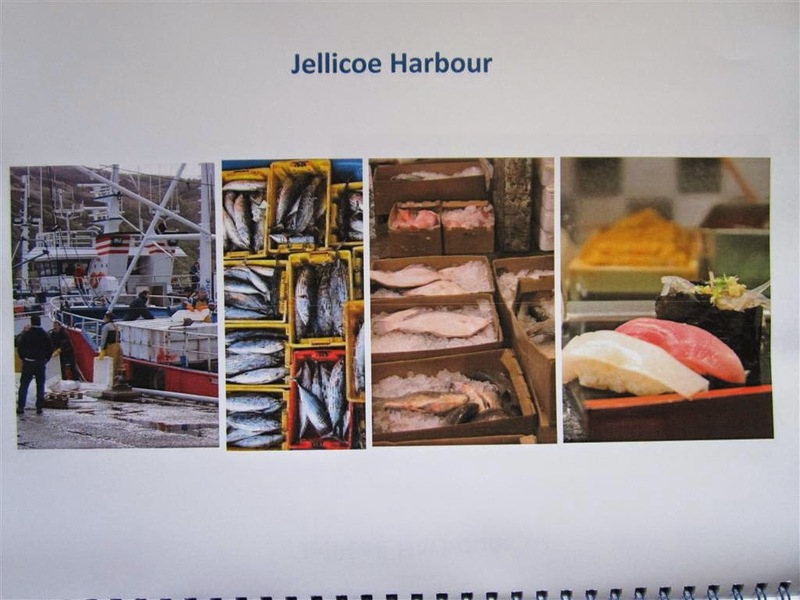 They told me that all the Auckland Harbour Board files - with its side of the story – much more detailed - were held by the Auckland Maritime Museum. I made an appointment. Asked to see files about the late 1980’s proposed Princes Wharf development, and anything they might have about Scheme Change 4. She told me she’d dig them out and that I should set aside a day. This was treasure trove. “Pencil and paper” environment but few restrictions. I was led to a large table with piles of folders and boxes. She showed me some of the big A3 documents first explaining, “these are the design submissions for Princes Wharf.” They looked amazing. Nothing like what’s down there today. I got the impression these particular documents had been shown to lots of people before me. Probably architecture students. Altogether I was looking at about a thousand pieces of paper, a tiny proportion of the AHB archives, and I didn’t really know where to start, or even what I was looking for. So I decided I’d go through the lot, folder by folder, box by box, page by page, taking pencilled notes of documents of interest. I was a bit put off by the cost of photocopying (high because staff did it for you), but after signing a copyright document I was permitted to use my digital camera to photograph whole pages. What was most surprising were the blunt letters from Russell McVeagh lawyers providing strategic advice to the AHB chief executive and board of directors every step of the way. Much of it was advice about how to deal with Auckland City Council concerns about the Head Quarters building and Princes Wharf proposals. Letters from Auckland City Council planning staff make it clear that the Council would not submit against AHB’s proposed HQ plans, on the understanding that AHB would take steps to implement the widely publicised Quayside Project. Travelodge (now the Copthorne Hotel) wasn’t impressed though, wanting to protect hotel window views across Quay Street, so it took the AHB’s plans to the Planning Tribunal Court (the precursor of the Environment Court). Documents reveal that only four years after the HQ’s construction, port admin staff vacated the building and it was leased to commercial tenants. Another public con. Back to Princes Wharf – but this time viewed through the lens of AHB’s archives. The public loved what they saw. So did the newspapers. Concept images did a great selling job on the public. A people’s waterfront at last. Next step for the short-list was another design competition – only this time the entrants were advised: “parties should refine their preliminary development proposals to the stage that they would be prepared to enter into a binding development/lease agreement with the Board… lease would be for 20 years…right of renewal… lease rental basis could be based on value of property….or equity participation….”. A big reality check. Grand designs were revisited and cut down to size. The Mace Development proposal was chosen – though minutes of AHB Board Meetings show that members were extremely unhappy with the final design – one that was economically feasible – and talked of “walking away from the deal”. In parallel AHB got on with the serious business of changing the planning rules (summarised above), and New Zealand legislation, to allow commercial development on Princes Wharf. This was a time when the Lange-led Labour government was hard at work restructuring New Zealand’s economy. Entrepreneurialism and market forces rule. AHB held onto Princes Wharf for a couple of years. Getting it ready for development, prior to handing it over to POAL to do the business. In 1989 the Hon Minister Prebble introduced the Princes Wharf Empowering Act into Parliament. Hansard tells us what he said, “to me, one of the most exciting things about the proposal is that for the first time it will open up the wharf to the public of Auckland….. benefits or proposals intended for Princes Wharf include a new, upgraded international cruise-ship passenger terminal; a waterside plaza with a ceremonial landing---and it is to be hoped that the America's Cup boats will come into there; a low-level pontoon, and a marina promenade; a pedestrian link leading right to downtown; a theatre complex; a maritime museum; and public viewing areas…..”. 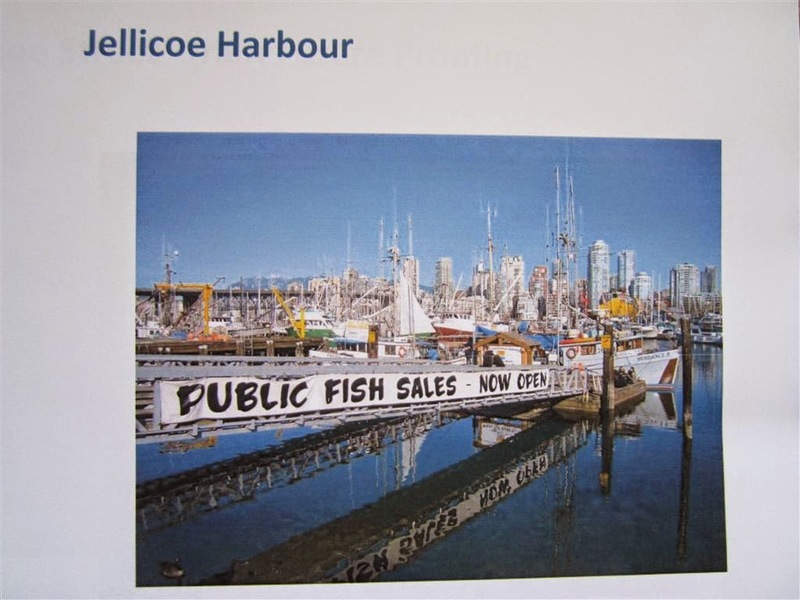 Parliament was persuaded to allow Princes Wharf leases to be sold commercially. The Council was partly bought off by the promise of rates revenue, and left planning responsibilities alone. But Council had gone public in the Herald about its concerns, and St Mary’s Bay residents took up the fight. They were concerned about losing their views from a waterfront development that could go as high as 62 metres. Man oh man. Keep the hotel the same size but lose the theatre and internal public access. Con or sell out? Who knows. St Mary’s Bay residents forced the issue, and the rest of Auckland lost out big time. By now the development was all over bar the shouting. But then came the crash and the Mace deal disappeared. Nothing happened on Princes Wharf for ten years. However, unbeknownst to an unsuspecting public the planks for what we see today on Princes Wharf had already been laid by these historic decisions. Next piece of the jigsaw was the Resource Management Act (RMA). This was enacted in 1991 and required the newly formed Auckland Regional Council (ARC) to prepare Auckland’s Regional Plan Coastal – which would regulate activities on the coast and above the sea (which includes on wharves). Put simply, under the new RMA regime, any development proposed on Princes Wharf after 1991 would need to comply with Auckland’s Regional Plan Coastal, and if it didn’t, it would need a resource consent. The RMA came from much the same parentage as the rest of New Zealand’s 1980’s free market reforms, and though it promised much in the way of environmental protection, it was – and still is – silent on human, social, and public needs. Urban planning was reduced to the assessment of environmental effects. The ARC could have written its Regional Plan Coastal from scratch. But in common with most NZ Councils it adopted large chunks from the previous planning regime. And by this I mean the Waitemata Harbour Maritme Plan, which – you will remember - had been changed to allow for the Mace development on Princes Wharf. It has proved difficult for me to get files on this next stage. The Ports of Auckland Ltd have denied me access to their files – even though they are 100% publicly owned. 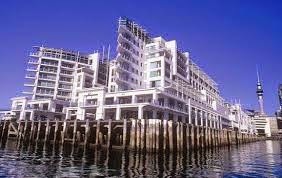 But I have been able to obtain the Property File for Princes Wharf from Auckland Council. A typical residential property file (like for where your house is) might contain a dozen or so entries describing the original subdivision, later subdivisions, and any resource or building consents. The Princes Wharf property file – which I got on CD from Council for $50 – contains around 10,000 planning files for the period since 1991. All nicely scanned and ready to read. But a bit like looking for a needle in a haystack. What I found has appalled me. That was feeble. The ARC showed its woeful understanding of urban planning. Ports of Auckland now had control of the lease to Princes Wharf. With a statutory obligation to be a successful business it must have been laughing. And with a planning regime like that in place, it was only a matter of time before a resource consent application to develop Princes Wharf would be received. In planning speak “Controlled” is like saying permitted. And “non-notified” means what it says. No public notification. That’s why no-one knew about it. Which is just a matter of opinion. The expert “certifying report” minimising environmental effects is full of urban design speak that smoothly turns black into white. Consistent with the purpose of the RMA, consent was granted. Without a hearing and without notification. By now the proposed development no longer included a cinema, theatres, museum, Waitemata Steps, festival shopping arcades. Such public amenities had long gone from this business-friendly proposal. Over the next two years the developer applied for modifications to the original consent. These included: 37 more hotel rooms, 79 more apartments, increased building heights, a pedestrian bridge, and a new lift. The developer also applied to restrict the public’s “unfettered access” to the end of Princes Wharf, and for six new vertical piles to hold the weight of the building. Parking increased. Restaurants spilled out between the protected colonnades. On and on. Step by step the public lost out, and private interests took over Princes Wharf. The same developer now owned the old (new) AHB headquarters building and applied for and obtained consent to fill it in with three new floors of commercial office space, again with the support of the friendly independent architect. Public access underneath and onto Princes Wharf was lost. And unknown additional lease payments were made to Ports of Auckland Ltd. The lesson for future waterfront development is this. Market forces can be relied upon to return profits to private shareholders. But public benefits on Auckland’s waterfront – including access, open spaces, parks, views, peace, seating, toilets, shelter, theatres, museums, galleries – can only be guaranteed when the public interest is rigorously defended and promoted by powerful and determined local government. This picture was taken a little while ago. Among other things it shows the Oosterdam cruise ship docked at Queens Wharf. The Oosterdam visited Auckland again a week or so ago, docked at Queens Wharf. I decided to interview a few of the passengers about how much they spent, and what they did while they were in Auckland. The early part of the report outlines the way in which the data is collected, modelled and presented. The direct expenditure figures included include cruise related (port, maritime costs, bunkering, providoring etc), passenger related (those you focussed on plus pre and post cruise expenditure and flights costs where applicable) and crew related (similar but related to crew). All of this was included in the reports to the ARC that made up the final report of the cruise project in 2009. The regional summary data provides figures for total expenditure (including air fares and ship fuel) net expenditure (excluding those items) and value add (synonymous with GDP and the figure we mostly use as the one most applicable to the impact on the Auckland economy) The value add totals for 2012-13 shows that Auckland received $116.3m from 100 ship visits (thus the $1m a ship comment), made up of $66.3m from 179,800 passengers, $7.3m from 67,900 crew, and $42.7m from cruise vessel related value add. Covec have looked more closely at passenger spend and conclude that each exchange passenger (those who start or finish their cruise in Auckland) is worth $1,128 and each transit passenger is worth $782 in terms of ground product purchases in the 2011-12 season...."
This piqued my interest further, and I decided I'd chat with a few passengers from time to time, when I had the time waiting for the Devonport ferry, and when there was a cruise ship in with passengers relaxing on Queens Wharf. It turned out the Oosterdam was only in for the day - so that obviously meant passengers only had a day to do their thing in Auckland. I spoke to a group of Australians (there were five in the group, average age 65-70 I estimate), and a young bloke who turned out to be from Belgium. They reckoned "American tourists spend more", and said more than half the passengers were from Australia. The guy from Belgium told me he didn't spend any money in Auckland. Just walked around the waterfront improving his suntan and taking pictures. But he said he did spend $2000 in Christchurch. When I asked him about that, he explained he bought a camera, and that duties payable in NZ for such things is less than in Belgium. Maybe we are seen as a duty free port by some? The Aussies I spoke to were from Sydney. They said they really liked the Queens Wharf docking location.... "fantastic to be so near the centre, compared with what it's like in Sydney". Now. You might read that as supporting a view that cruise ship parking on Queens Wharf should be retained. But you can read it another way. That is that Auckland has bent over backwards to allow cruise ship parking in the heart of the CBD - at the expense of providing a central park for its citizens.